Surgeon Capt. T.L. Cleave FRCP - The truth about food and medicines. Thomas Latimer Cleave was born into a Naval Family in 1906. Cleave’s interests focussed on Preventative Medicine where his brilliant mind led him to observe the harmful effects on human beings of the over consumption of refined carbohydrates such as sugar and refined flour which he called the Saccharine Disease. He noticed that the saccharine manifestations did not occur in wild creatures or among primitive people living on traditional unrefined food. He pioneered research into the link between diet and disease and his conception of a single Saccharine Disease has been described as one of the greatest medical advances of our time, fully comparable to the discovery of penicillin. In particular Cleave noted the importance of fibre in the diet, especially bran, which is largely eliminated in refined food. 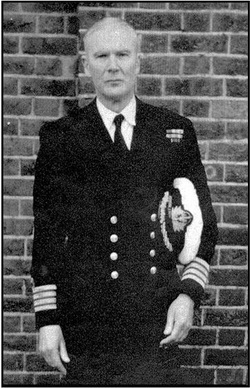 In December 1953 Cleave was appointed Director of Medical Research to the Royal Navy, a post which he held for nearly five years. In 1979 he entered into the annals of fame along with previous celebrated recipients such as Louis Pasteur, Joseph Lister, and Sir Alexander Fleming by being awarded the Harben Gold Medal of the Royal Institute of Public Health. He was also awarded the Gilbert Blane Gold Medal for Naval Medicine of the Royal Colleges. He pioneered research into the link between diet and disease and his conception of a single Saccharine Disease has been described as one of the greatest medical advances of our time. Many of today’s illnesses, especially obesity, tooth decay, diabetes and some forms of cancer such as cancer of the colon, could be avoided if people corrected their diet.